Abingdon, VA -- Heartwood, located in Abingdon, Virginia, is conducting a silent auction for a custom Wayne Henderson guitar now through late December. Henderson, a famous Southwest Virginia musician and luthier, handcrafted the guitar specifically for Heartwood. Proceeds from the silent auction will benefit youth traditional music education programs and the work of The Crooked Road: Virginia's Heritage Music Trail to preserve and enhance the vibrancy of America's music throughout Southwest Virginia. The auction will run until 10 p.m. Dec. 31, 2011. Bids are accepted online only at auction.myswva.org. Incremental bids must be at least $100 but no more than $1,000 and also entered through the website. 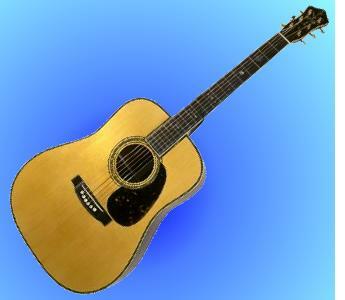 The guitar will be awarded at Heartwood's New Year's Eve celebration. This Henderson guitar is the only one of its kind. Henderson, the 1995 National Endowment for the Arts National Heritage Fellow, uses a pocketknife and a few machine tools to create each unique guitar, working daily in his Southwest Virginia shop. This Dreadnought guitar, featuring Brazilian rosewood, is styled after the famous Martin D, a favorite of old time and bluegrass pickers. The waiting list for Henderson's guitars is in the hundreds, with owners such as Eric Clapton, Doc Watson and Tommy Emmanuel. "We are grateful for the contribution Henderson has made to help support the unique musical heritage of the Southwest Virginia region and in the development of The Crooked Road," said Todd Christensen, executive director, Southwest Virginia Cultural Heritage Foundation. "This is a great opportunity to bid on an exceptional guitar and provide funding for the youth traditional music programs in the region." Heartwood's hours of operation are 10 a.m. to 9 p.m. Monday through Saturday, and 10 a.m. to 3 p.m. Sunday. For more information, visit HeartwoodVirginia.org or call (276) 492-2400. Heartwood: Southwest Virginia's Artisan Gateway is a 30,000-square-foot artisan gateway that features the best of Southwest Virginia's craft, music and food offerings. Located just off I-81's Exit 14 in Abingdon, Va., it is a convenient, unequaled stop for unique shopping and dining and a starting point for people to venture out and experience all that the 19 county, four city region of Southwest Virginia has to offer.